How many adsense clicks does your site get per day? 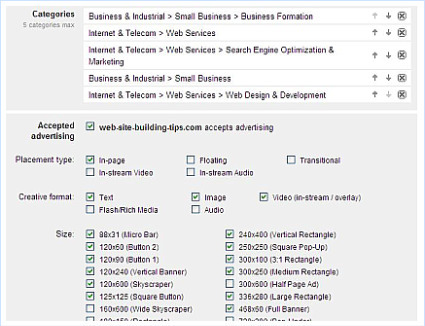 Are you getting the best pay per click pay-outs possible from Google Adsense Advertisers? 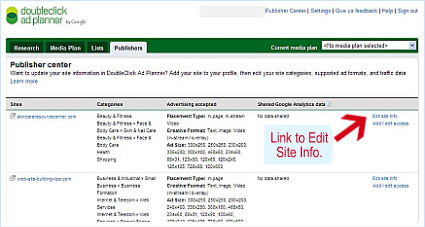 Have you listed your site with the Google DoubleClick Ad Planner Center? income generated from clicks on the Google Adsense Ads displayed on your site. 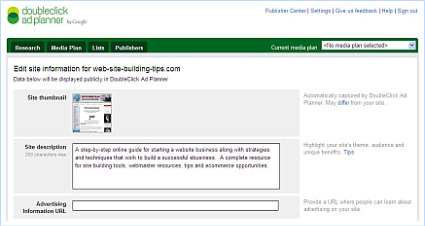 A helpful strategy is to showcase your website in the Google DoubleClick Ad Planner Center. Although publishing adsense ad units on your website is just one monetizing opportunity, make the best of your website marketing strategy and showcase your website to Advertisers. 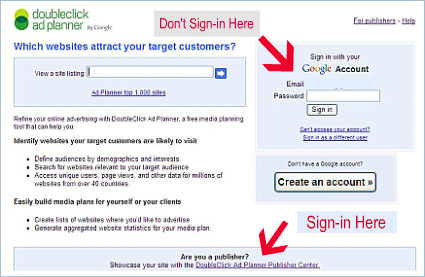 Many companies and other web business use the Google DoubleClick Ad Planner to target specific websites to display their Ads. When you list your website as an Ad Publisher, a thumbnail of your home page will be displayed along with a description of your site to potential Advertisers. Showcasing your website is a quick, easy and painless way to market your website to Advertisers who are interested in promoting their product or services to your web site visitors. And since these Advertisers have to outbid their competitors for ad placement on your site that means that you can earn the best pay per click possible! Plus, another bonus is that the Google ads served to your site will be more relevant. The more interesting and relevant the Google Adsense Ads are on your site, the more likely your visitors are apt to click on them. There is nothing worse than searching for a new recipe for cookies and being greeted by adsense ads for neutralizing cat pee odors! What visitor in their right mind is going to be interested in that? That is a huge reason why many site do not generate many adsense clicks; lack of relevant ads! Now if I was greeted by ads for a miraculous self-cleaning cookie tray or decadently delicious dark chocolate chips from Belgium as I'm searching for my new cookie recipe, you can bet that I'm not going to hesitate a heart beat to click on those ads. . . If you have already verified your website with Google then it should be listed on the next screen. If not, then you will need to follow the instructions provided on that page before continuing. Click on the "edit site" link. Complete the description, highlighting any unique information about your website.